Thanks to a revolutionary patented process, you can enjoy the benefits of portable, durable, low-cost reading glasses. 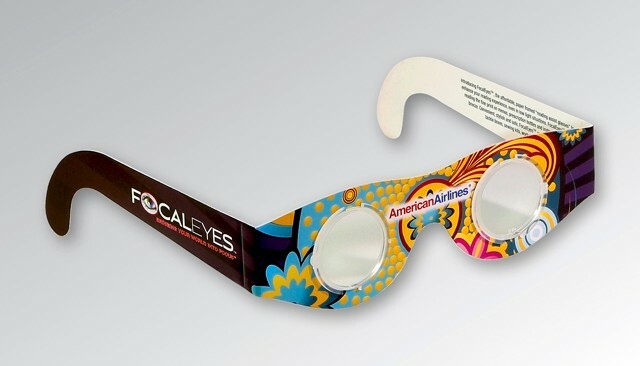 Introducing FocalEyes™, the affordable paper framed “reading assist glasses” that go everywhere you go to enhance your reading experience, even in low light situations. 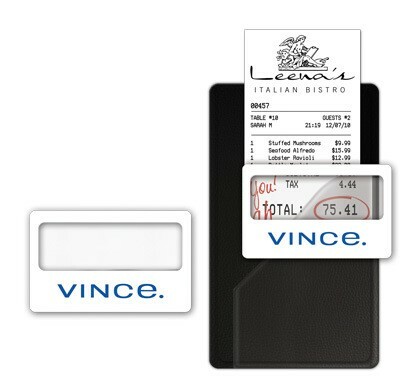 FocalEyes™ make reading the fine print on menus, prescription bottles and even instruction manuals a breeze. FocalEyes™ come in a variety of lens strengths, such as +1.5, +2.0 +2.5 and +5.0, so you can have the magnification power that best suits your needs. 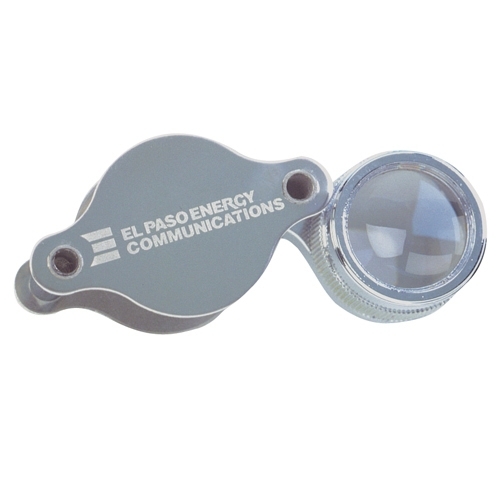 Our +5.0 is a wearable magnifying glass that can be used for fine detail work. 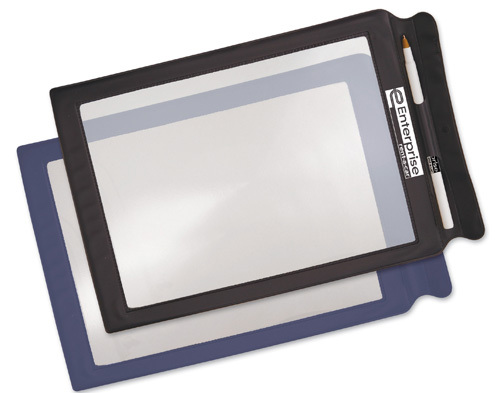 5X MAGNIFIER, LIGHTWEIGHT & MAILABLE! Inserted into Vinyl Case! 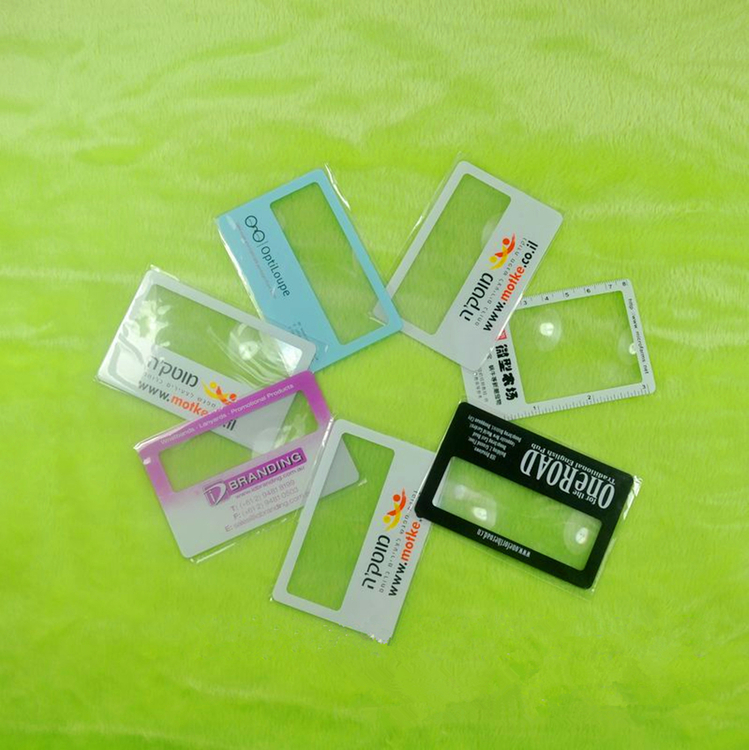 Wafer Thin, Flexible, Unbreakable Credit Card Size Magnifier with Fresnel Lens and 5X available in 4 colors. The perfect low cost mailing promotion. Cello bags will be included and shipped bulk at no charge only upon request. Price includes a one color hot-stamped imprint on front. 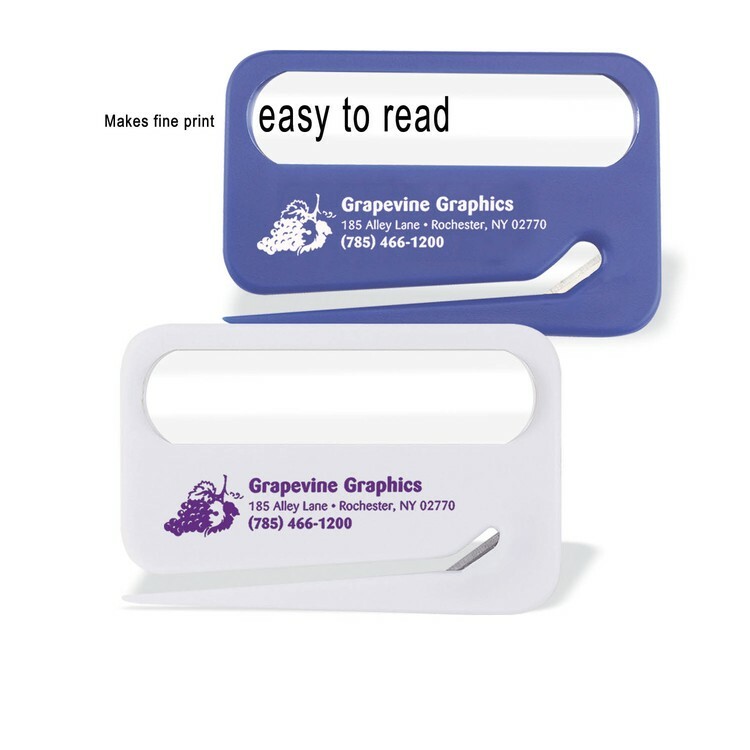 Handy bookmark is made of clear and durable PVC material. It includes: protective storage sleeve and decorative ribbon. The ideal bookmark for readers with low vision. Flat fresnel lens magnifies 3X depending on the distance from the text. Glass lens in 2.5", 3" and 3.5" diameter. Black plastic handle. Boxed. 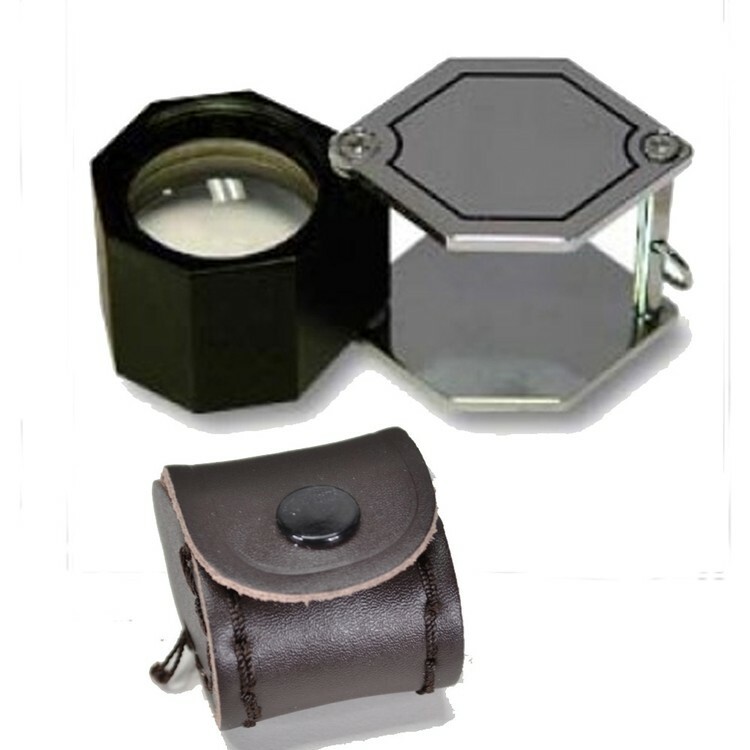 High Precision Stainless 10x Magnification loupe in synthetic snap-on leather case, quality corrected triplet lens loupe. 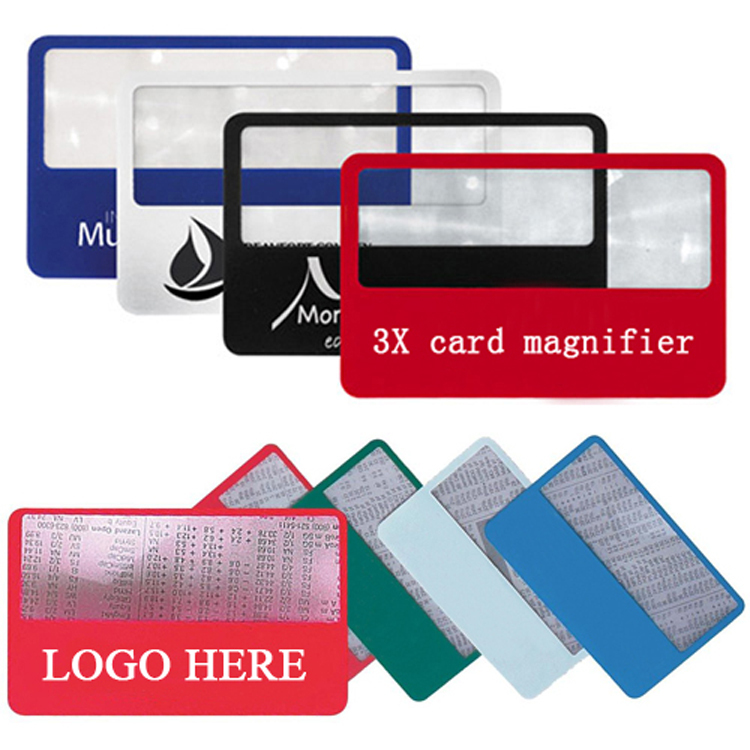 This plastic credit card shape magnifier have a big imprint area for your logo and easy to put into your wallet. The 3x magnification help you read easily. 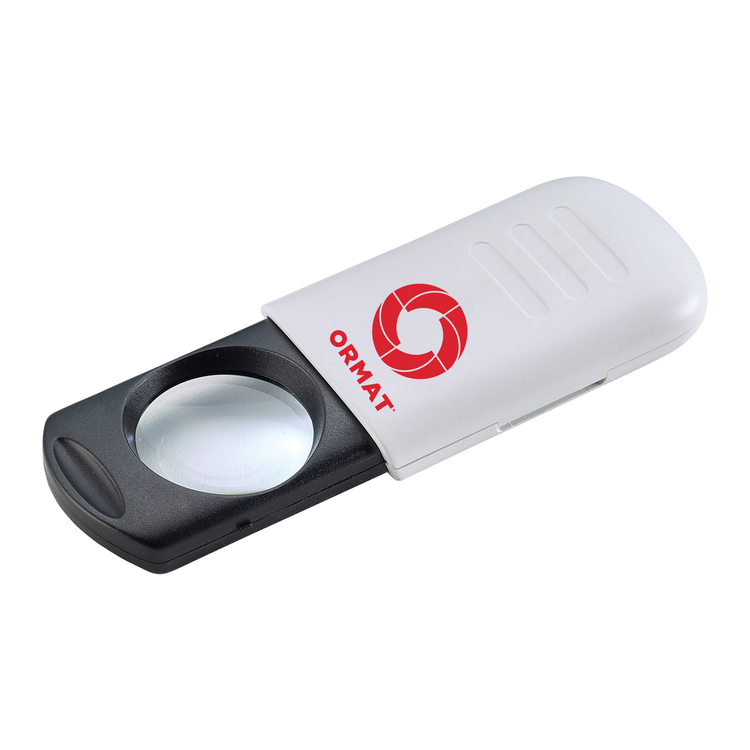 Customer logo can be imprint with all color. 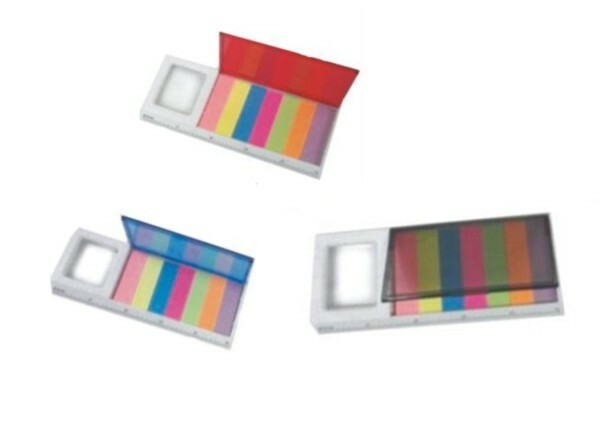 This 3X credit card magnifier is made of food grade pvc, many different colors are available. 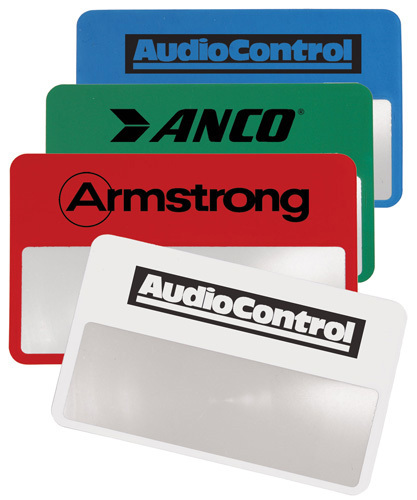 Credit card magnifiers can help your client with their hard to read menus, newspapers, and more! 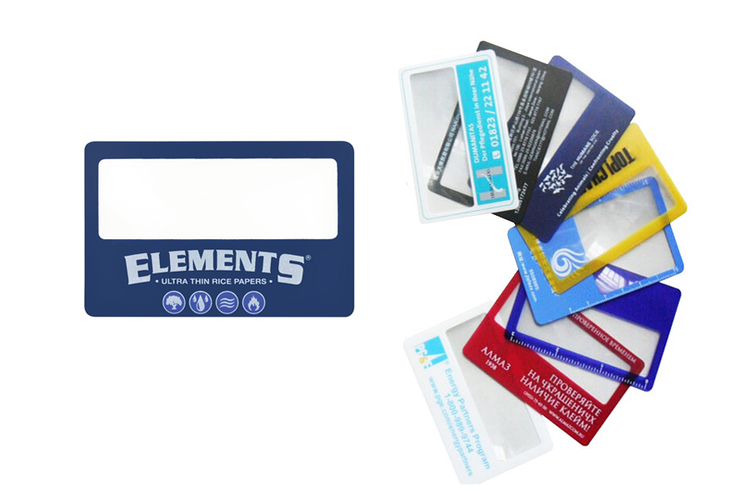 They're the size of a credit card and fit neatly into any pocket, purse or wallet to travel conveniently everywhere your clients go! 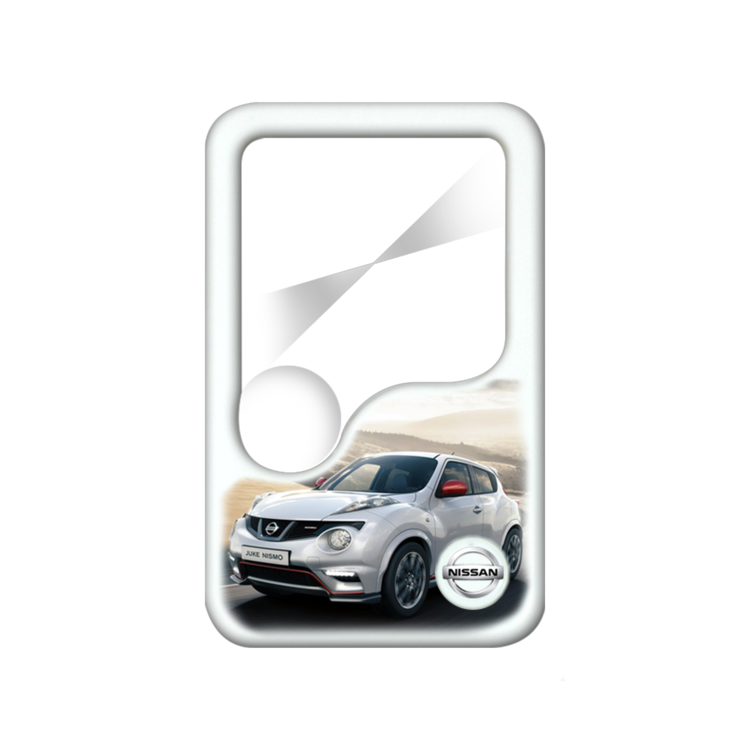 The perfect way to show off your logo or slogan! 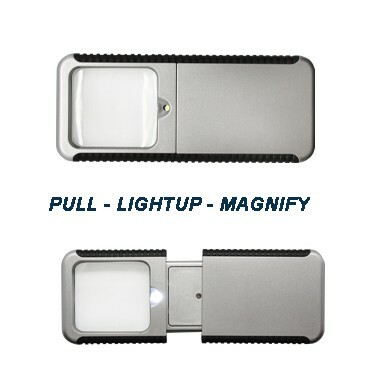 This LED retractable magnifier is 4" closed and 5 3/4" open. Powerful, handy 8X magnifier. Drawing the magnifier out automatically produces LED lighting. 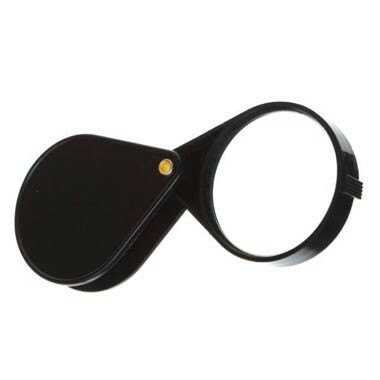 Magnifier retracts into plastic sleeve for protection and compact size. Includes 3 "1.5V" batteries.  Light Brown Laserable Leatherette Foot Shaped Bottle Opener with Magnet. 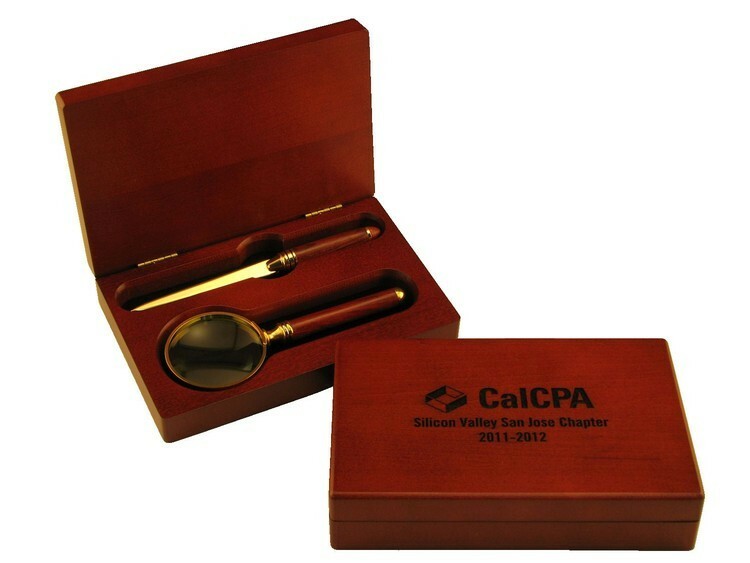 Create a look that stands out by adding a name, message or logo to create a fully customized and personal gift. 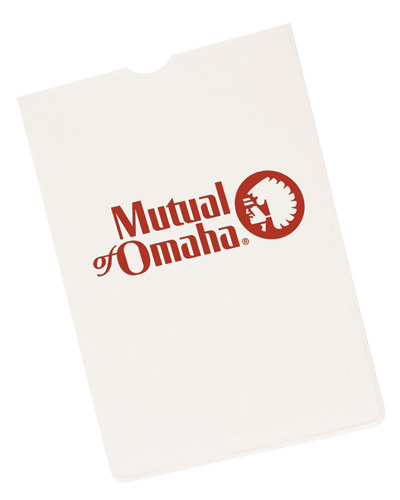 Excellent when used as a promotional product for seminars, trade shows, conventions, or any other social gathering. Laser engraved into leather for a rich look. Engage with others through branding to create name recognition and associate your company or organization with high quality products. IN PVS POUCH, GLASS LENS 2" DIAMETER, IN BOX PACK. Bookmark magnifier, paper-thin, flexible. 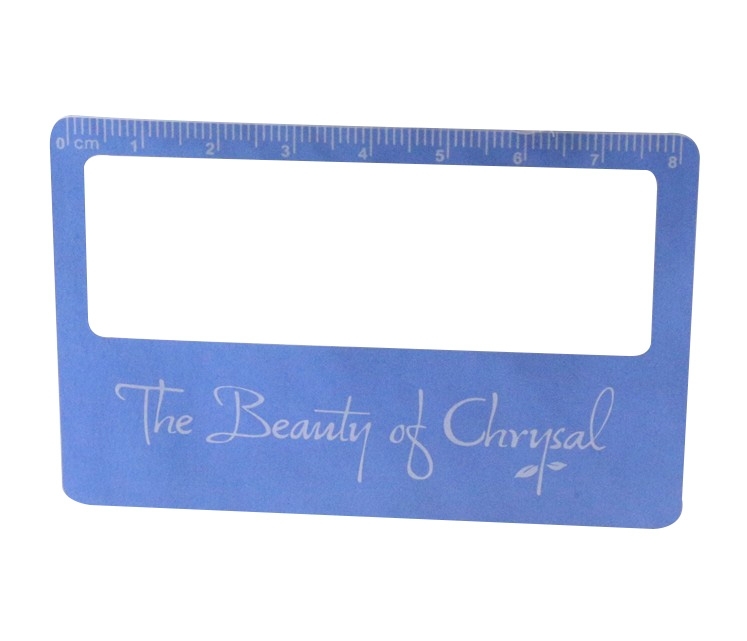 Magnifier, page mark and ruler 3-in-1. The length of ruler is 5 1/8". Large area for your logo. 3X magnification. 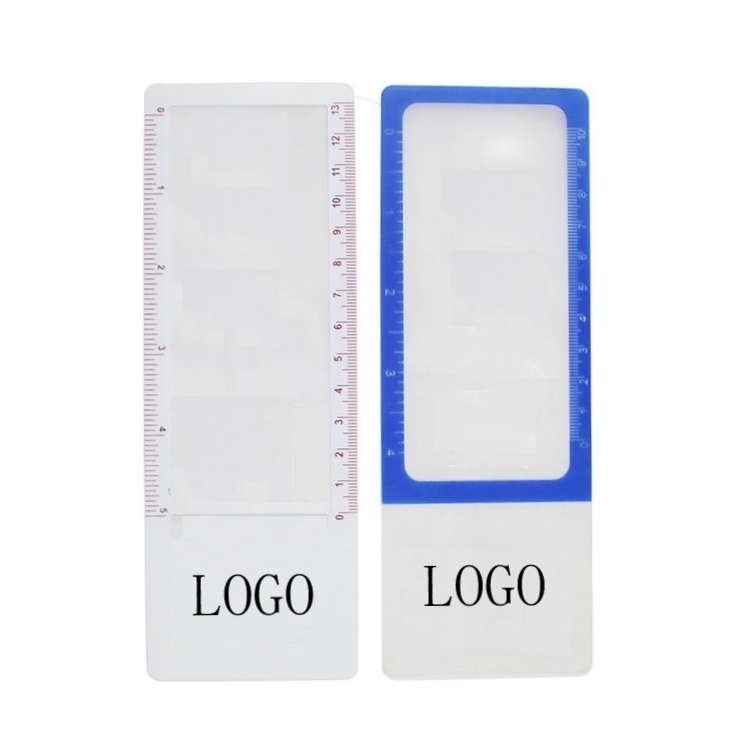 Ideal for reading books, restaurant menus, labels, travel and promotional gift. 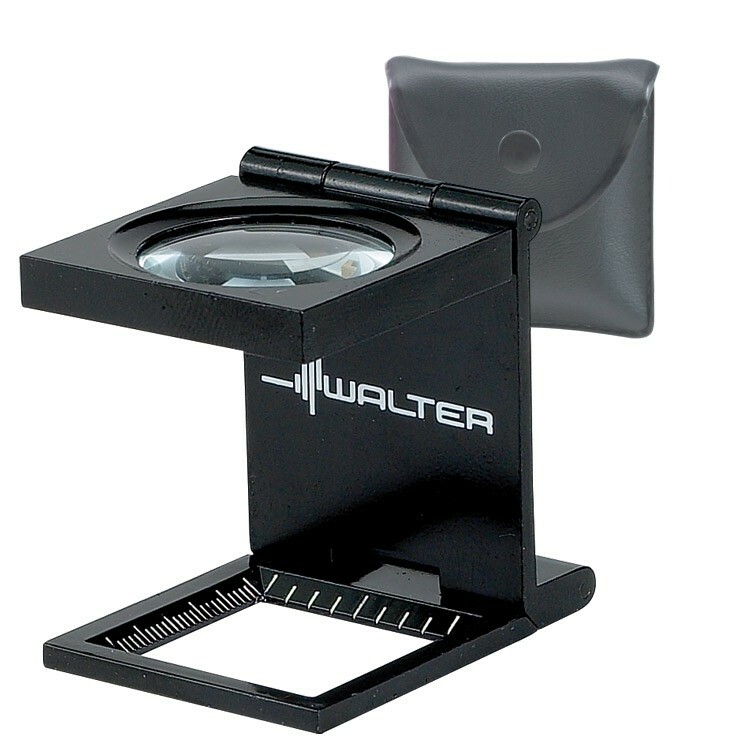 This card magnifier is portable and easy to take with you anywhere. Pvc material with magnifying glass. Price includes 1 color 1 side screen printing. Welcome inquiry. This item has 3X clear magnifier lens. It is very useful for reading books and magazines. Price is based on 1 color 1 side 1 location with screen print. 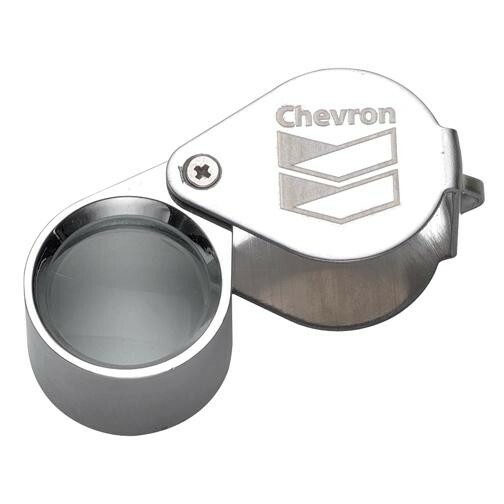 Magnifier w/ LED light, Silver with black trims. 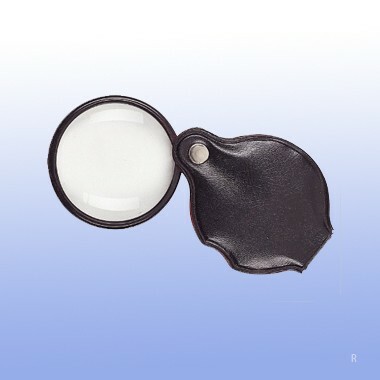 Travel size and light weight magnifier makes an ideal item to have on the go for reading and lighting. 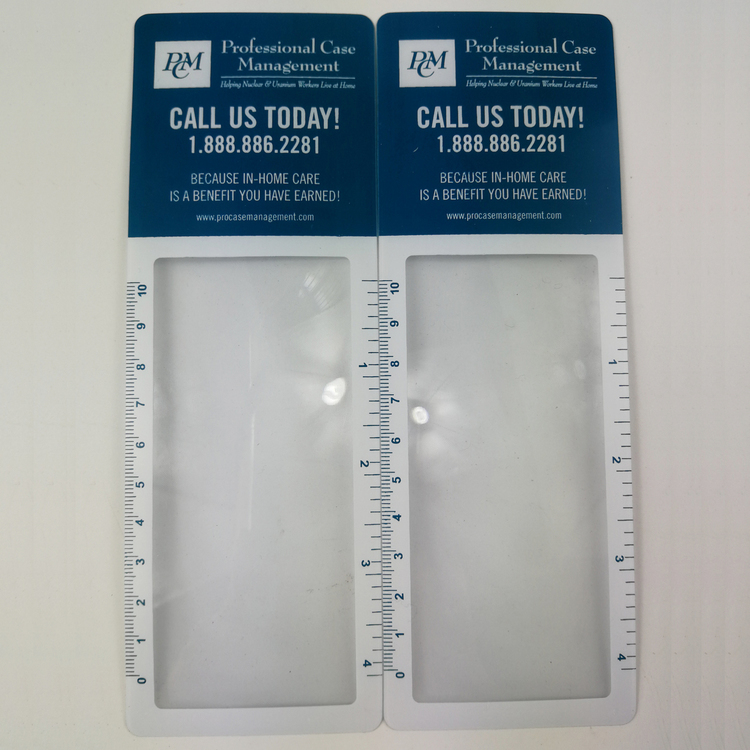 Great magnification for this wallet card magnifier! 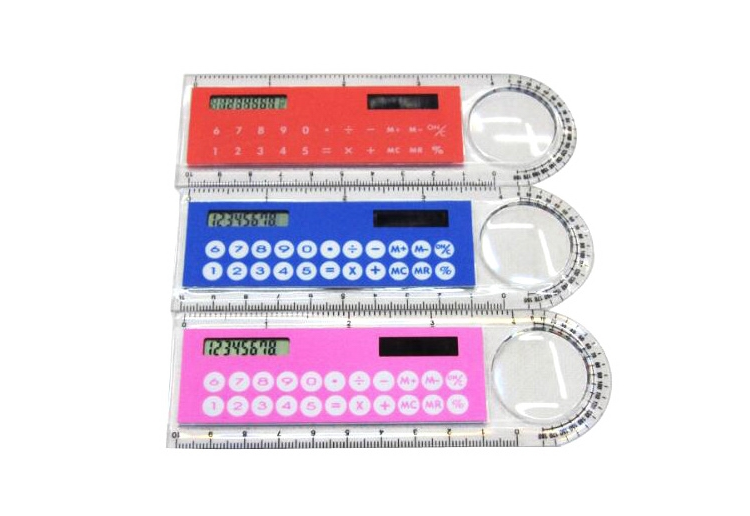 Weight: .018 Plastic | size: 2-1/8" x 3-3/8"
Multi-functional calculator with magnifying glass and ruler is made of plastic. Solar powered. It is perfect for office and school students. Features precision screwdriver, 6 screw, 2 nose pads and 2 grommets. 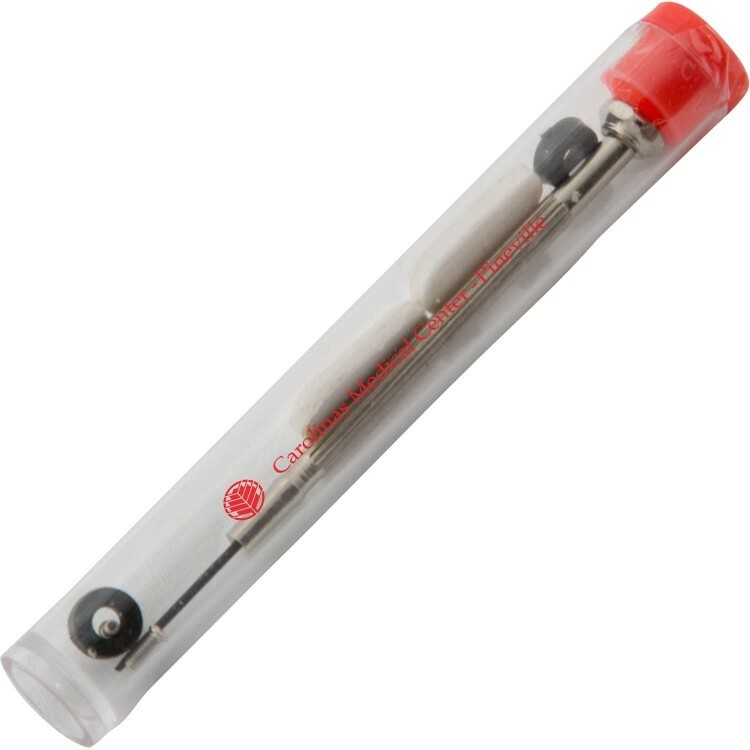 Magnified Glass Ruler with Sticky Notes in a Case. 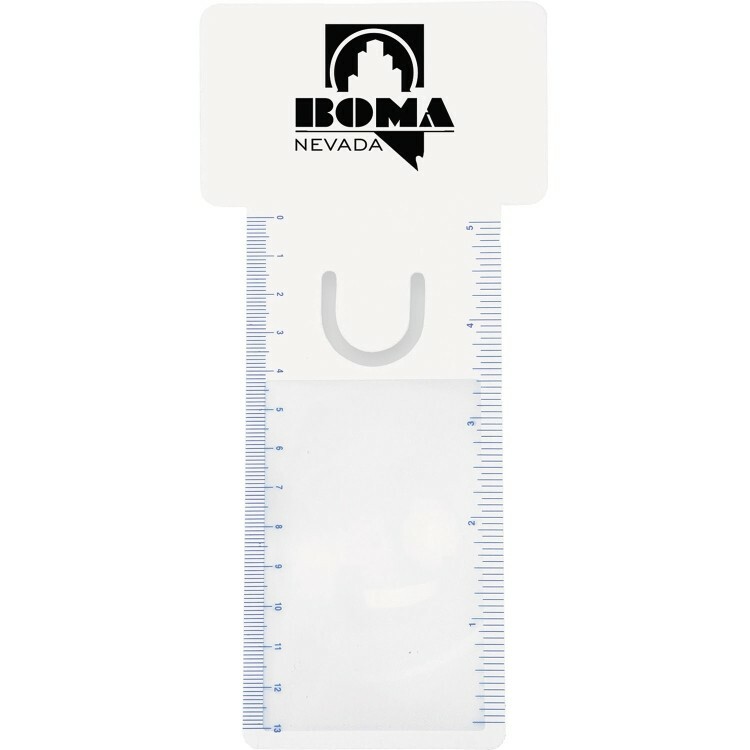 Ruler measures 5" or 12 cm. Comes in three colors to choose from. Includes one color imprint in one location.